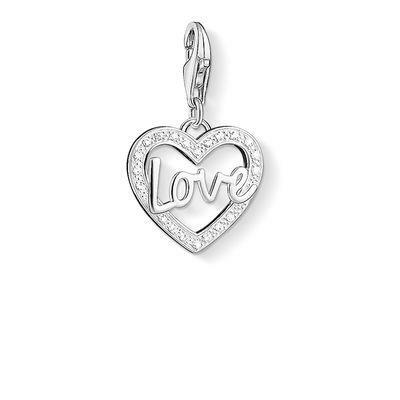 This loving addition to the Thomas Sabo Charm Club collection is the perfect gift for someone special. The 'Love' heart is crafted in 925 Sterling Silver and sparkles with white cubic zirconia stones. For the perfect gift, team this charm with a Thomas Sabo charm bracelet made form semi-precious stones for a beautiful accessory she can cherish for years to come.